Fighting cavities has never been more fun! 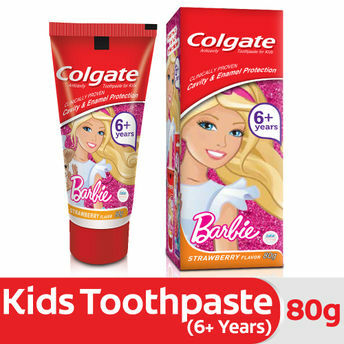 Colgate Barbie Strawberry Flavour toothpaste is specially formulated for kids of ages 6 and above, designed with the expertise of pediatric dentist to meet the special needs of newly erupted, developing permanent teeth. 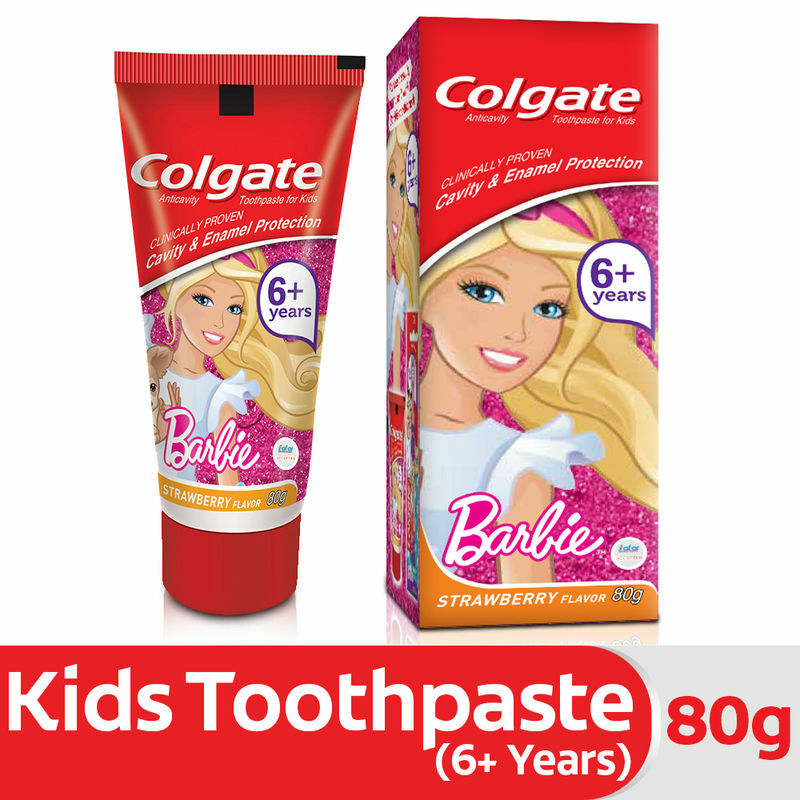 The special formulation of Colgate's range of toothpaste for kids is mild and safe to use on children's teeth and gums to effectively fights germs and cavities. The kids toothpaste comes in a convenient stand-up tube making it easy to handle and fun to use for kids. The Colgate kids toothpaste for kids comes in an attractive Spiderman packaging, with a sparkling colorful gel and a cool minty fruit flavour that will make your child look forward brushing twice every day! Colgate toothpaste is No. 1 recommended toothpaste in India. Explore the entire range of Toothpaste available on Nykaa. Shop more Colgate products here.You can browse through the complete world of Colgate Toothpaste .